Our range of products include stainless steel inserts and steel inserts. Stainless Steel Inserts are used in various automobile industries for different kinds of applications. These are highly appreciated by our clients for their features like quality, dimensional accuracy, low maintenance, performance, cost effectiveness and durability. We manufacture these inserts using high quality materials and according to the quality standards and norms of the company. 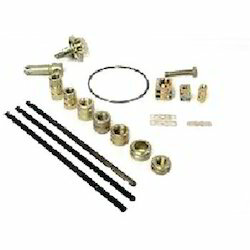 These are used to install threads in sheet or plate metal where a drilled and tapped thread is not an option. We manufacture a wide range of Steel Inserts made using superior quality raw material. 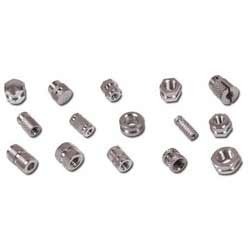 These steel inserts are used to install threads in sheet or plate metal where a drilled and tapped thread is not an option. These are available as per the specifications made by our clients. Some of the features of steel inserts are durable, cost effective and reliable. Clients can avail this steel inserts at affordable price. Looking for Steel Inserts ?